Our Three Recommended Destinations Outside Tokyo and Kyoto! The two popular tourist destinations in Japan are hands down, Tokyo and Kyoto. They have a lot of spots to see and tourists from overseas enjoy visiting there, but there are many other attractive tourist resorts in Japan. Now let me introduce the three recommended tourist resorts! Hokkaido is situated farthest north and is the largest in Japan. Its area is as large as one third of Japan can be held in it! There are a lot of tourist resorts in that vast site. 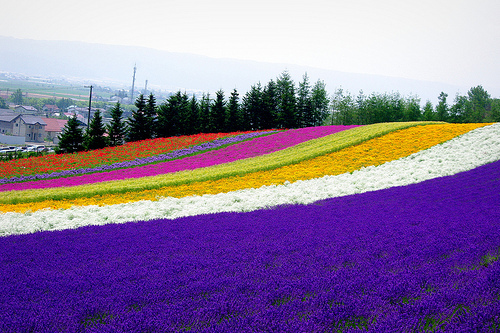 Especially Furano is very popular town. 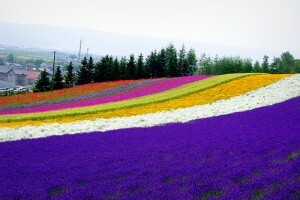 Furano is famous for its lavender fields. The carpet of lavender in a vast place is so nice and beautiful! Particularly Rokugou Viewing Platform is recommendable. You can overlook the beautiful sight of Furano from the platform at 500m above sea level. And there are beautiful flower fields around it and you can enjoy seeing lavender, poppies, and Chinese peonies depending on the season. It’s cool and good for sightseeing in summer and you must be impressed by splendid snow scene in winter there! 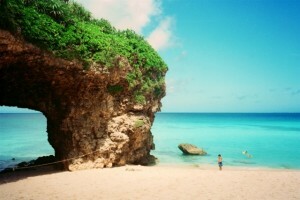 In contrary to Hokkaido, Okinawa is situated farthest south in Japan. It is surrounded by the sea and consists of many small islands. It counts as many as 363 islands! It’s warm through a year and the difference between the highest temperature and the lowest one is small and is like a tropical island. Unlike the humid hotness in the main island of Japan, its hot and dry, so you will feel very comfortable spending there. Speaking of the best attraction in Okinawa, it’s the beautiful sea. The emerald sea with high transparency and white smooth beach is said to compete with number one in the world. 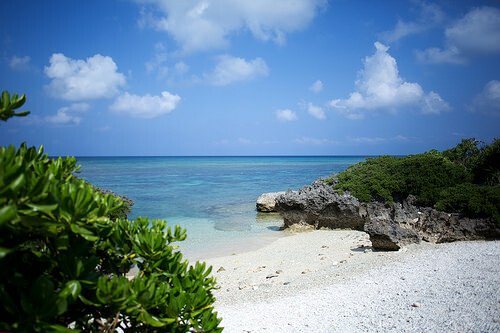 Especially the sea of Miyakojima situated at 290km from the main island of Okinawa is recommendable. It is even very popular with Japanese people and everyone gets lost for words by the beauty of the sea and the beach. Chiba prefecture is situated next to Tokyo. Unexpectedly it is not well-known. But it holds Narita airport and there are many recommended tourist resorts near Tokyo and easy to access. The famous one is Tokyo Disney Resort. Though it is named Tokyo, it is located in Maihama, Urayasu, Chiba. 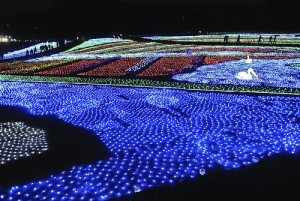 About 30 million or more people come there through a year and it is the number one theme park in Japan. 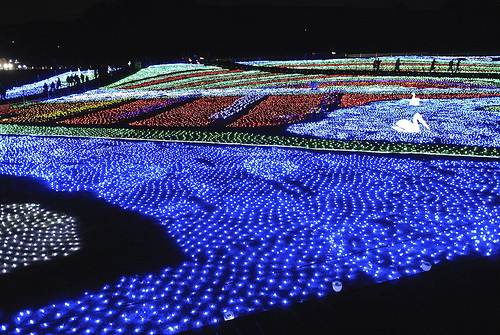 Other than that, there are many places to see like Country Farm Tokyo German Village which has very beautiful illuminations, Kujuukurihama which is crowded with a lot of surfers, Mother Farm which holds various attractions and spots where you can play with animals in a vast site, and so on! Stay connected! Free Wi-fi hot spots for travelers in Japan.